People born between 23rd August and 23rd September belong to the Virgo zodiac sign. This astrological sign is ruled by planet Mercury, which is about judgement regarding every bit of information that enters the mind. They are known as the ‘perfectionists‘ of the zodiac. 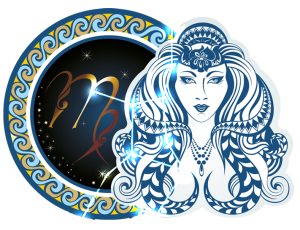 There is a great deal of mental energy and focus on communication associated with Virgo. This sign is symbolized by the virgin. They tend to have a delicate feminine personality; soft and caring. Let’s see what are the other characteristics that make Virgo the best sign of the zodiac! Virgos are usually calm on the outside but their mind never rests. They have a thousand thoughts, pondering over one thing or another. This thinking mind always make them analyze every aspect of a situation or a person and they rarely go wrong in judgments. They leave no detail unnoticed. This analytical and methodical approach is their strong point, helping them to succeed in life. Being an Earth sign, Virgo is grounded in the physical body, practical and dependable. They can come up with the best pragmatic solutions for any problem because their thoughts are based on reality, not imagination. Virgo doesn’t live in the fantasy world, she walks firmly on the ground in her sensible reality. Most Virgos are extremely organized and they are excellent planners. They don’t like things to be in disarray; they thrive in a neat and tidy environment. Organizing a picnic or a high-school reunion? Leave it with the Virgo, she will have everything covered. Detail oriented and diligent, they are comfortable to stick to the structured pattern and they like planned routines. If a Virgo tells you something, he or she truly means it. They are generally upfront and straightforward and they expect the same from you. These traits make them honest and sincere friends and partners. They don’t trust people easily, but once they find their perfect partner, they’ll go the extra mile. Virgos are more of the introverted types. They are quiet and modest. They don’t have the need to be in the lime light, as they prefer to keep it simple, allowing other people to take the center stage initially. It is hard to find a Virgo that is loud and boisterous. They need time to let others close to them and they take time to establish true friendships. Virgo can seem aloof and distant, but it’s only because she doesn’t show public displays of affection too often. In fact, they are very attached to few people they love and they really care for them. Virgos are humane and compassionate, they like helping people. Virgo likes to be helpful, useful, and supportive to her partner, she will truly go the extra mile for the ones she loves. This sign is the worker bee of the zodiac. They work towards their goals diligently. Talent, hard work and discipline make them successful in their careers. With their meticulous approach, clarity and focus they don’t get deterred or bogged down and they will keep working towards their goals. Work is very important for Virgos and they are the world’s best employees. Virgos are known to be perfectionists, they never settle for anything less than perfect. This could be both strength and a weakness. On the positive side this perfectionist attitude makes Virgos set high standards for themselves and they are good at improving things, bringing order out of chaos. They appreciate sophistication and their attention to detail is admirable. Virgos have high standards and are very self-sufficient, so they prefer to remain single rather than being in a relationship that is not satisfying. Virgos have no problem being alone for extended amounts of time. They feel better about their accomplishments knowing they were successful all by themselves. Virgos are truly great friends to have. They are reliable and always follow through with commitments. They rarely bail on the people they care about as they’re empathetic to the needs of others. If you are stuck, call a Virgo friend, she will be happy to help. Helping others give them great joy and they work towards the greater good.